Thermal imaging has widely become recognised as a critical element in the preventative maintenance field. 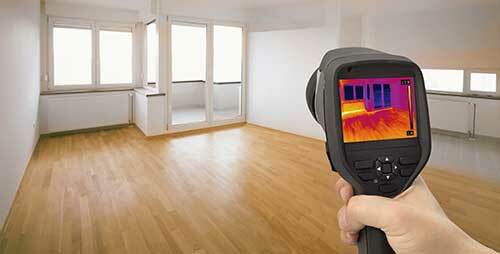 Quigley Electric has numerous clients who require thermal imaging of their company’s electrical assets. Quigley Electric has fully accredited electricians who are able to come to your site, conduct an assessment and then build a comprehensive report of any issues found. Our infra-red cameras are used to inspect wiring and equipment to detect hot spots, hiding potentially serious electrical problems and hazards that could lead to injury, fire or plant and equipment downtime. Unlike other more conventional assessment measures our inspection occurs without interruption to plant operation. Potential equipment failure or fires can be prevented, thereby allowing you to avoid downtime and schedule targeted maintenance. Receive a comprehensive report within days, detailing photos and thermal images prioritising items requiring attention. Call Quigley Electric at 403 938 4570 for further information on our thermal studies service.